Real money gambling apps for smartphones and tablets seem to be gaining traction, and that's a nice boon to veteran gamblers like myself. Before the Internet, I had to travel if I wanted to participate in any legitimate gambling. With the advancement of mobile technology, app development has now reached the betting industry, and I can literally use my mobile devices for just about any type of gambling I'm in the mood for. Windows - this is Microsoft's mobile operating system, and the latest version as of this writing is Windows 8. This section of our guide focuses on Windows gambling apps, which will be optimized to be played on Windows mobile smartphones and tablets. BlackBerry - the latest Blackberry OS is BlackBerry 10, and we have created a portion of our guide specifically targeted at BlackBerry gambling apps. This guide was created to provide a no-nonsense approach with clear, concise information that leaves you an informed player in regards to the fairly new presence of real money gambling apps. We've included information on applications for multiple mobile operating system platforms that span the most commonly used devices. I'm sure you've heard the news that has circulated recently regarding security vulnerabilities and predators targeting mobile app users. 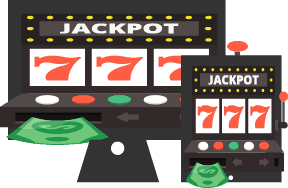 This places a greater importance on ensuring that you are only accessing secure and trusted mobile gambling applications for real money gambling. In fact, security concerns should be a priority and a driving component when making decisions regarding which betting apps you will consider using and what devices you will use them on. We'll help you sort through those details as well as provide an understanding of the capabilities and functionality of safe mobile gambling applications. Have you ever wondered what exactly makes real money gambling apps work? As a veteran gambler I understand that many times the bet you are about to make, whether it is on a sporting event or some type of casino game, is crucially dependent upon the platform you are using. Online and off, the personnel or software which you rely on to take your wager has to be dependable, reliable and easy enough to use for you to act quickly when you see a betting opportunity you want to exploit. We've been gambling in both the physical and virtual worlds for many years, and have recently noticed the move to multiple betting options on smartphones and portable PCs. And the first questions we had when we realized the benefits of this "always ready" and portable gambling platform were many. We asked ourselves if gambling apps are safe and legal. Always looking for an opportunity to increase our chances of winning, just as you probably do, we also wanted to know exactly how they work, and what we needed to do to use them properly. And what devices are supported? Is the full slate of casino games available, as well as sports betting? Our investigation revealed that several online casinos and sportsbooks do offer applications or mobile optimized versions of their websites which work on popular Android, Apple iOS, BlackBerry, and Windows devices like the iPhone, iPad, the Galaxy S4, BlackBerry Z10, Nokia Lumia series, and others. Mobile gambling software runs better on iPhone 3 and up, as well as iPads, and on most all Android phones. To our pleasant surprise, we found that you can often times expect a no-download experience, and that almost every iOS, BlackBerry and Android powered mobile device and smartphone is supported, as long as the OS is relatively new. Some are also optimized for the Windows mobile platform as well. Most websites have a clickable link which will reformat their gambling interface to perfectly fit your smartphone or tablet. The more popular and significant online casinos and sportsbooks also welcome online gamblers from the US, even offering live in-play wagering on literally thousands of sporting events. This is extremely important for the veteran gambler who wants to quickly take advantage of late breaking news or some other bit of important information as soon as it arises. Obviously, with the smaller display on your smartphone, the user interface for your iPhone or Android device is immediately reformatted for touchscreen operation with a more streamlined and straightforward control panel, even including auto-orientation if you move from landscape to portrait mode. Usually the casino experience is basic, offering popular table games like blackjack and roulette, and sometimes slots, and even 3-D slots. Also, thanks to the powerful processors on our current smartphones, we found that many of the online betting apps we tested were lightning quick. We recommend using an online casino's desktop gambling interface to get the hang of that particular site's operation first. Then simply access that same website from your smartphone, and either click on the link or the QR code which is offered to deliver a mobile experience, or download the mobile sports betting app designed specifically for your handset. The top casinos and sportsbooks use state-of-the-art 128-bit SSL data encryption and the same high quality gaming software for your mobile gambling as you can find on their website, and mobile gambling apps are free to access. The top operators offer a safe, legal and speedy wagering option from most smartphones when you cannot access your desktop or laptop.